This week we move from the rustic charms of Derbyshire to the more urban setting of the ancient city of York. In the summer months York throbs with a polyglot population of gawping visitors who throng its ancient streets in untold numbers. October means a lesser press of crowds and a chance to savour the city’s Minster and many attractions. Overlooked by the ancient Norman Clifford’s Tower is the town-house of the Fairfax family, Fairfax House. 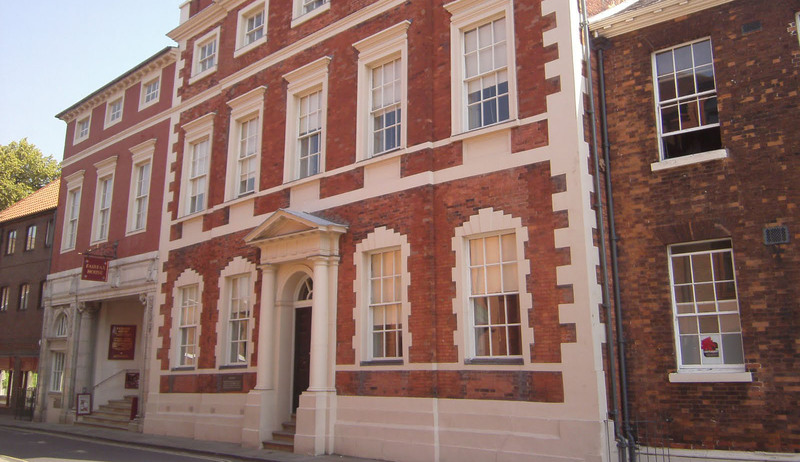 As the capital of Northern England in the 18th century York enjoyed a vibrant social life which required, if you were “in the swim”, a residence where you could entertain and display your wealth, and incidentally in this case, a marriageable daughter. Masterfully restored by the York Civic Trust, Fairfax House now exhibits a sophisticated interior with splendid plasterwork by the Giuseppe Cortese from Lugano, splendid silver and 18th century furniture from the Noel Terry Collection. This assemblage only serves to remind us what fine furniture was until fairly recently almost readily available and is now rare and stratospherically expensive. No less a beautiful spot is Newby Hall. Like Fairfax, this house, set in a verdant landscape on the banks of the River Ure, is representative of the locally well-known architect John Carr. Working in the Palladian manner, he added to the house for the upwardly-mobile William Weddell. Weddell was a man of discernment and taste. Aided by his fortune from the South Sea Company, he made the Grand Tour, buying Gobelins Tapestries and Antique Sculpture, with which he subsequently embellished his country house, but not before he had supplanted John Carr with the more modish Robert Adam. He it was who decorated the interiors of the house and created the unsurpassed Sculpture Gallery which still contains the fruits of Weddell’s European travels. We were able to visit this unique 18th century gem, privately and at a leisurely pace. A real pleasure. After a sturdy Yorkshire lunch on to another architectural gem, Beningborough Hall. Now owned by the National Trust, this handsome baroque house emphasises the wealth of this northern county in the 18th century. 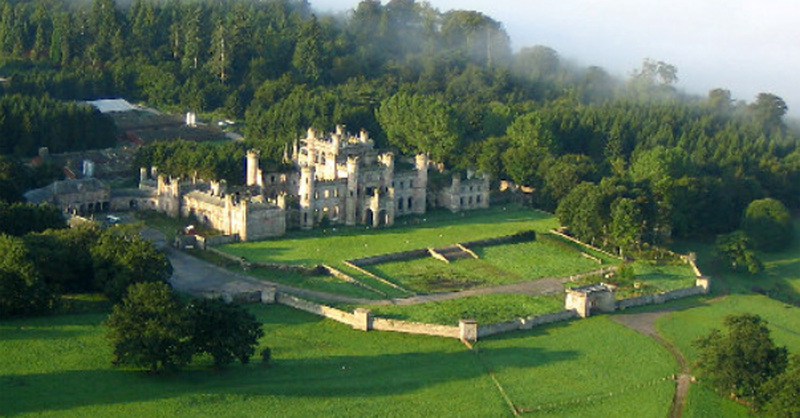 Dating from around 1716, the architect of this most important house is unknown, but we do know that it was built for John Bourchier, High Sheriff of Yorkshire, and his heiress wife, Mary Bellwood. Whoever was responsible for the architecture created a highly sophisticated baroque house with elegant enfilades of rooms, and with fine joinery particularly evident in the staircase. This makes Beningborough one of the most important houses in the country of this period. Now furnished with furniture of the period including the magnificent State Bed from Holme Lacey and a series of portraits of members of the Kit-Kat Club, this house captures the spirit of its age. On the top floor are portraits from the collection of the National Portrait Gallery, amongst whom we met Thomas Jenkins and his daughter. Who was he you may ask? He was the man who supplied William Weddell of Newby with much of his sculpture for his much celebrated Sculpture Gallery, so much so that the best piece, The Barberini Venus was alternatively known as the Jenkins Venus. Weddell could never admit to how much he had paid for the said statue… no wonder Jenkins could afford to have his portrait painted! All the while we luxuriated in the comfort of the Grange Hotel in York, which is as near as you can get to a country house in the town. Comfortably furnished with squashy armchairs and sofas this hotel offers good food and wine in the dining room and an informal brasserie in the vaulted basement…but why the television switched on with no sound flickering on the wall? We are always pleased to hear from you!